We’ve done Army. We’ve done Navy. 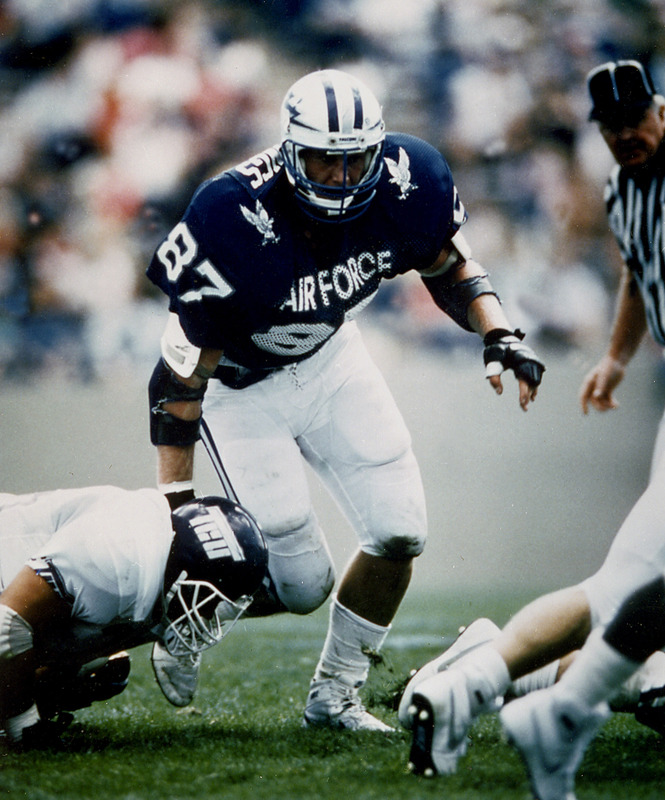 We won’t promise service academy equality from here on out, but for the third day of our countdown to kickoff, here’s a shot of Air Force defensive standout Chad Hennings, a four-year letterman, consensus All-American and Outland Trophy winner for college football’s best lineman. It’s a familiar site for Air Force fans in the ’80s — Hennings standing tall with an opposing player on the ground. Post your Air Force memories below, along with suggestions for future picture subjects.